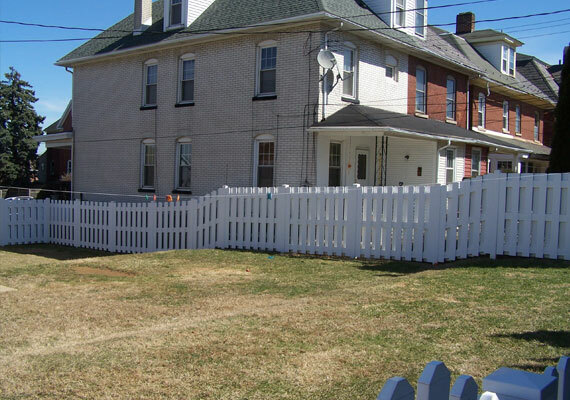 Lehigh Valley Fence Co has been serving the Lehigh Valley and Pocono area since 1979…I’d like to say we’ve seen it all but every yard is different so new scenarios are always coming our way. Times have changed. “Back in the day” people would always call and have us visit their property to measure and discuss their fence options. Along came the fax machine and the majority of general contractors realized that, with the touch of a button, they could shop the work to any (and as many) companies that possessed a fax number. A number of residents with home fax machines followed suit. 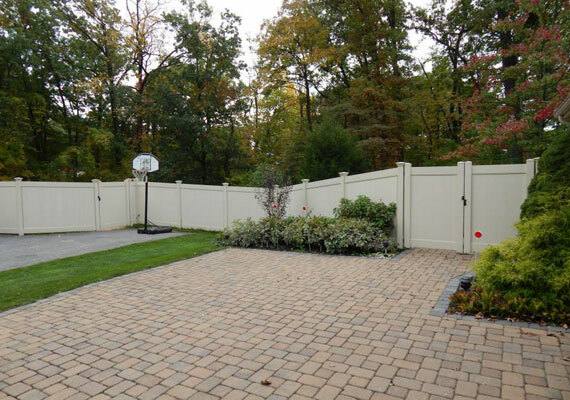 We may discuss a number of options depending on the purpose of the fence. Often an array of prices are provided in the contract. Confirm your final selection (style and height) and, if going with vinyl or aluminum, it’s wise to physically see the color sample – don’t trust the color shade you see in a brochure. Property lines must be marked before the work commences. It’s not always necessary to have your property professionally surveyed and sometimes we can figure things out if only one or two property pins are in place but locate these pins before, not the morning we arrive. How? Ask your neighbors (you’d be surprised) if they know where even one pin may be; sometimes you can reference off that one pin to find the others. Obtain a site drawing from your municipal office. Also request a second site drawing showing the adjoining properties (this sometimes can be of use). If your municipal office is unable to provide a site drawing the dimensions of your property are listed on your deed. This can be helpful if your lot is square or rectangular and one or more pins have already been found. If your lot is trapezoidal, pie shaped or you live on a radius you may need a surveyor. Metal detectors rent for about $25.00 per half day. If you have a good idea where the pins are, visit your local rental center and go on a scavenger hunt. If you live in a newer development contact the builder and request the pins be re-marked. Failing that request the builder’s surveyor name and contact them to re-mark the lines. The survey company should have your property on file, they’ll have already established relative points in the area from which to base their bearings and there won’t be a need to research your deed at city hall or the courthouse, so their cost should be minimal. 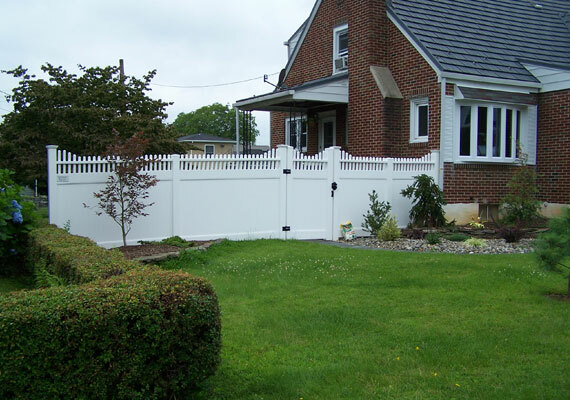 You should be present at least the morning we start your fence work – various questions may arise. Confirm how far inside the property line the fence may legally be placed, also decide whether you want the fence placed even farther back. Elevation of the fence can be a primary concern. You may have a small dog and want the fence tight to the ground or you may want the fence elevated so it’s easier to lawn trim beneath it. Mow your lawn a day or two before the work begins – helps to establish a better final elevation. 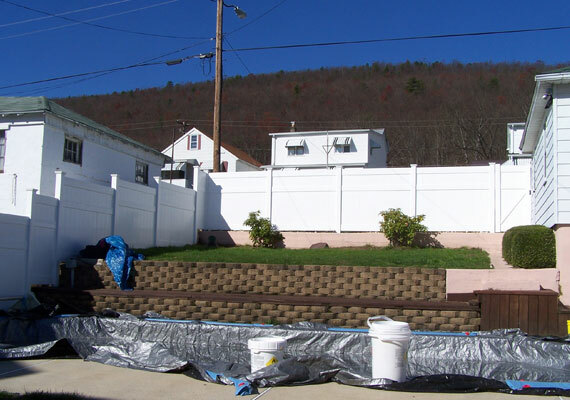 Levelness – the majority of yards in NE Pa are not level. The ground tapers down and away from most homes to prevent water from entering the basements. Even tennis courts are graded to shed water. Due to water runoff legislation the grade can be extreme in most newer developments. 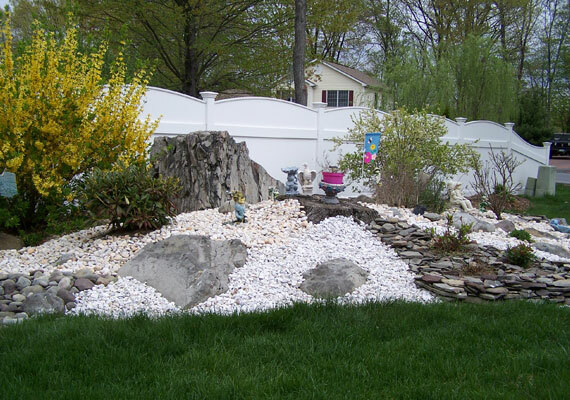 Most customers are surprised at how greatly their yards slope and this undulation will be magnified by a fence. 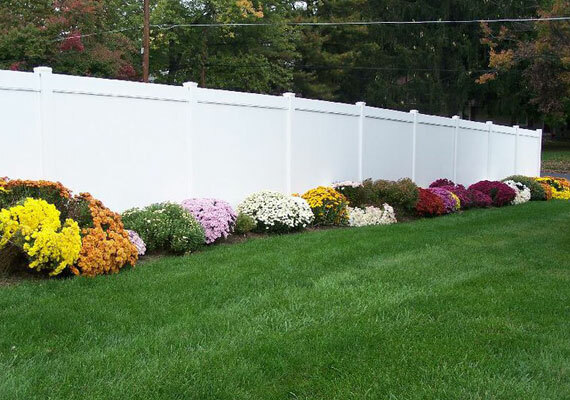 If the final grade of the fence is a major concern you should plan to be present the entire time the work is performed so that you may personally dictate the final fence elevation. We’ll do what you ask….as long as we can do what you ask! Stepped sections – most fences are installed to follow grade (parallel the ground) but they can instead be stepped (terraced) depending on your needs or preference. We need to know which way you want the fence installed before we order materials. 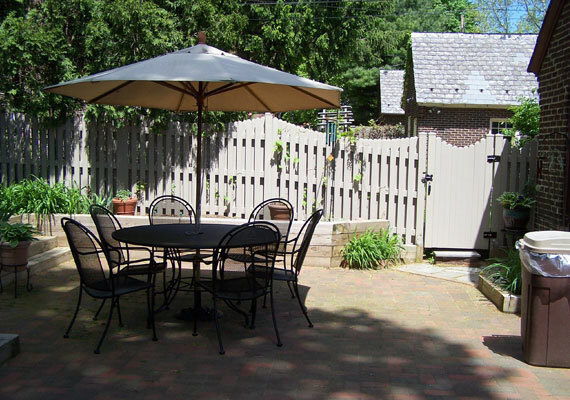 Stepping PVC or aluminum fences requires more end posts (and fewer line posts), is more labor (and time) intense and will impact the cost slightly. Nice side in? Out? 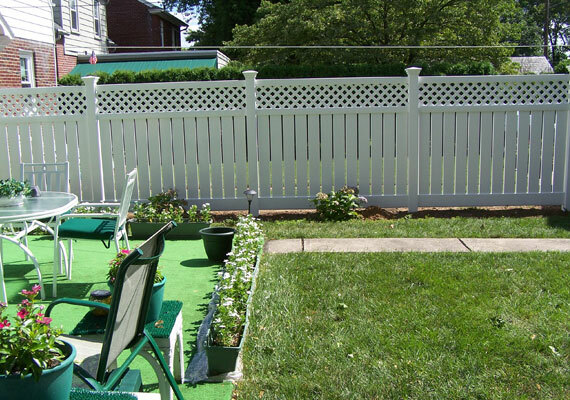 Some fence styles have a framework side and a finished side; which way the finished side will face should be confirmed in advance. Some municipalities don’t give you a choice and want the finish side facing out. Most municipalities require a permit for fences…some permit applications can be tedious. 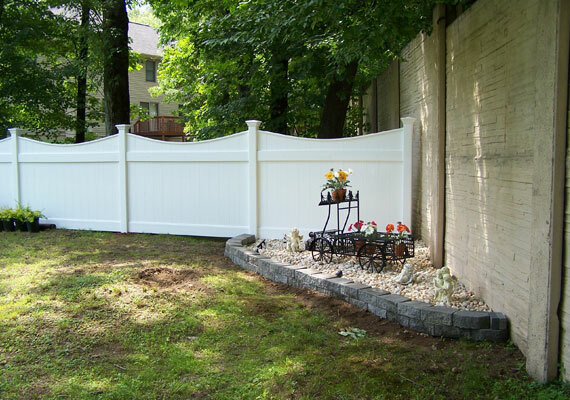 LV Fence can procure the fence permit for a fee of $75.00 plus cost of the permit. We don’t offer this service to add to our profit and seldom break even on the time it takes to provide a separate drawing to include with the permit application, fill out the application and first deliver it to you for your signature, take it to the zoning office for approval, sometimes procure a site drawing in the process, answer any questions that may arise in the process and then pick up the approved permit….since the zoning office will not mail it. 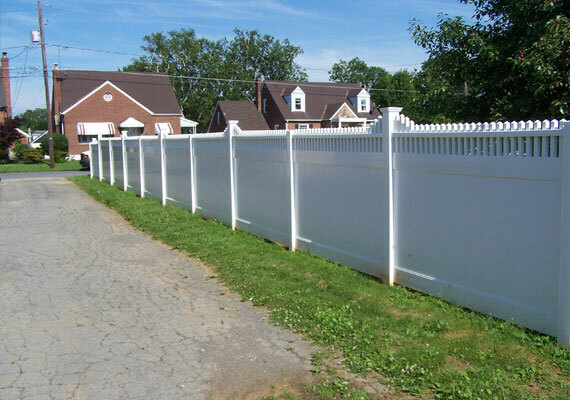 Determine how close the fence may be placed inside your property line; this varies from one municipality to the next. Even when you are allowed to place the fence just inside the line we recommend putting it at least 3 inches inside, to be safe. Look before you leap. Some townships have a height and design restriction depending on where the fence will be placed. 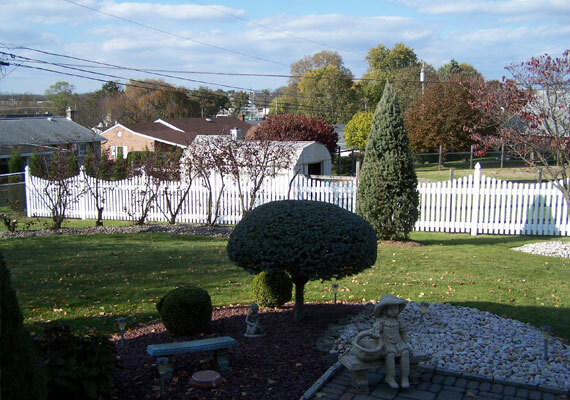 For instance, in Hanover Township you are no longer allowed to install a 6 ft tall, solid privacy fence….anywhere. In some private communities wood fences are not allowed…in some private communities only wood fences are allowed! 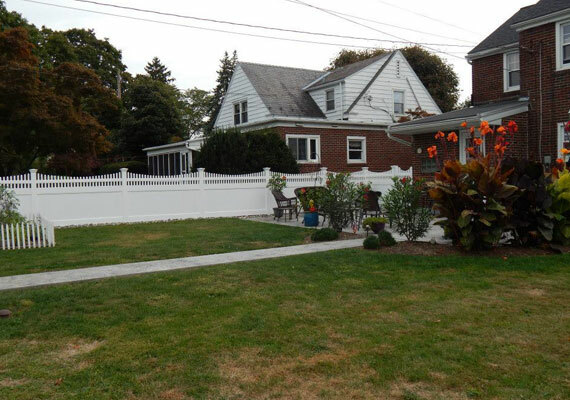 In the cities, historic areas want to see yards that are in keeping with the ambience of the district – often chain link, aluminum and vinyl fences are taboo. Water and utility easements, especially in new developments, may push the fence line back as much as 10 feet from your property line. If you’re in the market for a new house do yourself a favor and ask about any easements that may limit where you can place your fence – don’t expect the seller to offer up this info as it can seriously shrink useable space. A 100 ft wide yard with a 10 ft water easement running along the back property line has 1000 square feet of property that cannot be fenced in. What – there’s a side easement, too? Site triangles – if you live on a corner lot your fence may be required to be set back (outside of a site triangle) so it does not obstruct traffic visibility. 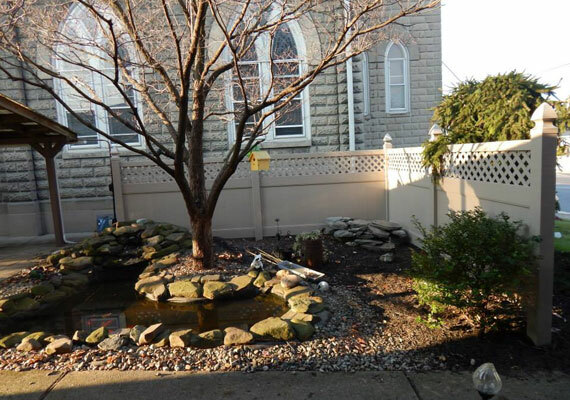 Corner lots – your side yard may be construed as your neighbor’s front yard and a privacy fence may not be allowed in that area. 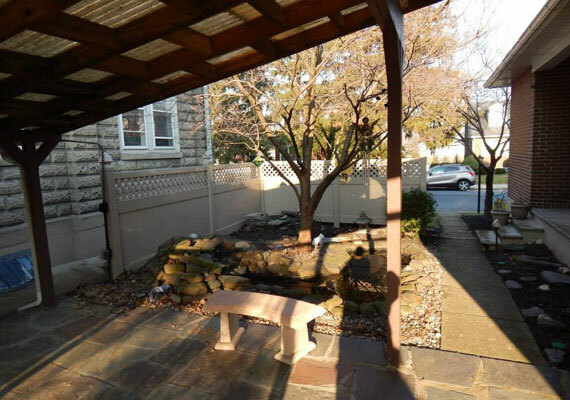 Thinking about purchasing a corner lot in Bethlehem Township? Better do your homework (no pun intended). Most municipalities have adopted UCC or IBC safety codes for pool fences, which are usually included with the pool permit package. 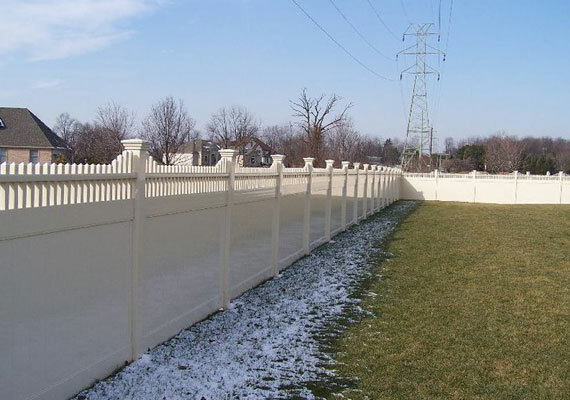 Essentially the fences must be a minimum 48 inches tall, there must be at least 45 inches between the bottom and middle rails of any fence where the rails are exposed (on the outside of the fence, like ornamental aluminum fences) and the latches must be 54” above grade, thus the demand for 54” tall ornamental aluminum fences for pool enclosures. All (single) gates must open out and be self-closing with childproof latches. Aluminum fences are popular because they meet code, they are better priced than most PVC fences and parents can see through them if they wish to keep an eye on their children while in the pool, also the self-closing gates are lighter in weight and swing more efficiently. Find out (from both the pool installer and your township) whether the permanent fence must go up before the pool can be filled. If you plan the fence to be near or just off the pool deck the ground should be backfilled level at least 6 inches beyond the fence line. 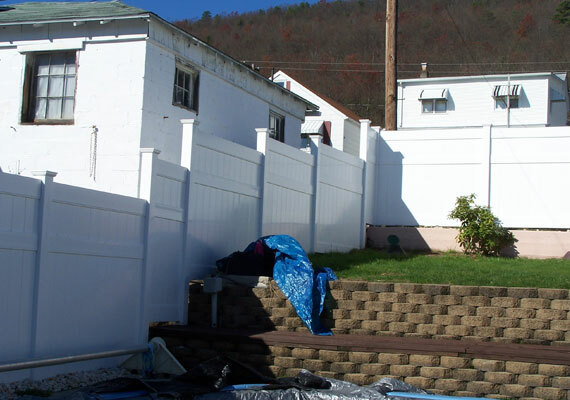 Consider a fence to hide the pool filter, cheaper if done same time. Be aware of any underground lines that will intersect the proposed pool fence – electric, water and propane or gas. Make your own schematic showing where all these lines have been placed – don’t trust the contractor or the subs to do this. Usually the fence won’t go in until after final grading is performed….and usually final grading will wipe out all traces of a trench or any paint or flag markings. If there is one observation that can be made about having an inground pool installed it’s that there seems to be a tremendous amount of stress involved in the process. It’s a coordination of specialized tasks, all done by different contractors, and the schedule is at the mercy of the weather. And then there’s those little things….from establishing the best place to put the pool to the proper pool elevation (this can be critical – you’d be surprised how many pools could have been installed a little lower to the ground), best location for the filter (this too can be critical – keep it away from your patio area – some filters can be loud), dealing with the two inches of rain that fell the night after the first day the pool excavation started and then wondering why the work has stalled, if the mud will ever go away, if that mountain of dirt will ever go away, still waiting for the decking to be poured, waiting for the electrician to show up, waiting for the propane line to be installed, surprised at how visible a 5 ft tall, white propane tank can be and wondering why nobody warned you, waiting for the inspector to arrive…again, waiting for final grading, etc. While a small number pools go in without a hitch, the best thing you can do is stay involved with the entire process, don’t plan that Memorial day party expecting the work to be 100% done, and draw that schematic – there can be no worse feeling than reaching the point where the work is in its final stages, the pool is filled, grass is growing, the landscaping is complete, flowering plants look spectacular, you’re just about home free….and the fence company hits a water line because they all they could do was guess where it had been laid. Every fence company will have a contract that stipulates all lines must be marked in advance and they are not liable. Every home owner will feel the liability is not theirs if a line is hit while digging. Why is that? 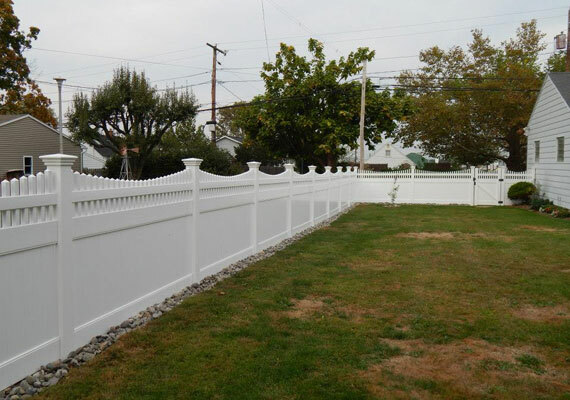 PVC fences are a good choice because they have no sharp edges, many are difficult to climb and they clean up easily. 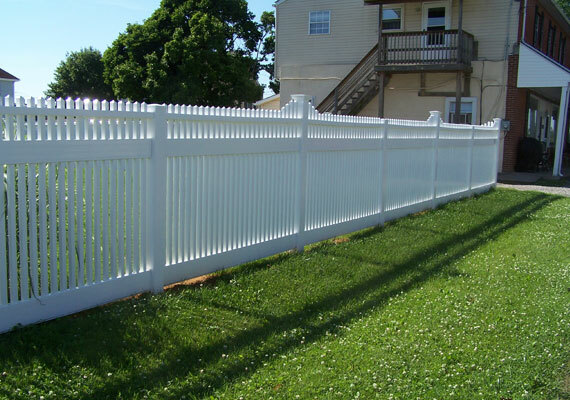 We offer Country Estate PVC fence because it has a 50 year, transferrable warranty and it is strong. 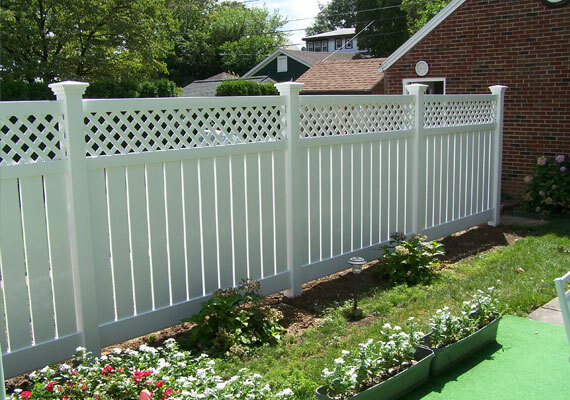 Ornamental aluminum is maintenance free and can be better priced than PVC but the picket spacing is just under 4 inches – smaller toys and balls can pass through. Chain link is still fairly economical and it is safe if properly installed; all-color chain link fences (green or black) are gaining in popularity. Hot dip galvanized chain link can have sharp edges – better to avoid it and opt for aluminized steel or vinyl coated steel chain link. Post and rail fences with welded wire attached have been very popular but the wood requires maintenance, also demand for this product coupled with diminishing supply is pushing prices higher. The weld wire (typically green or black vinyl coated) can be reinforced along the bottom with a heavy tension wire if needed. 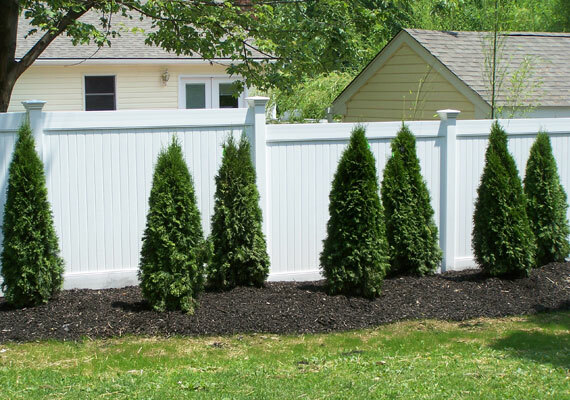 Cedar picket and privacy fences will always be a solid choice, also ideal for purists who refuse to even entertain the thought of a vinyl fence. 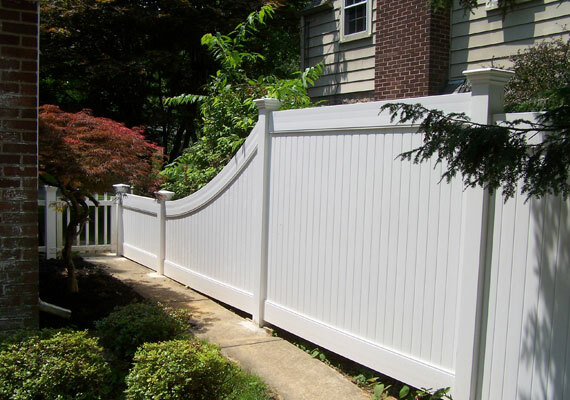 Yes, maintenance is part of the deal but vinyl will never match the elegance or aesthetic appeal of a well-built wood fence. 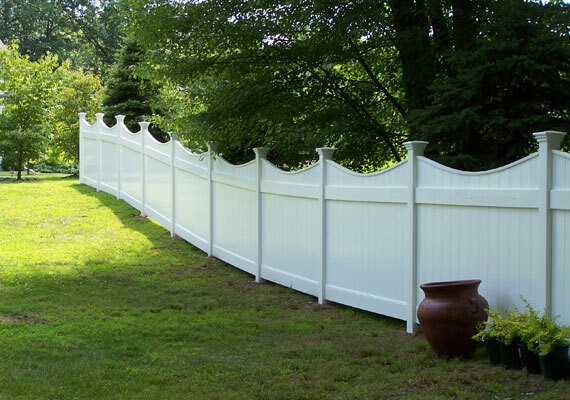 PVC has an 80,000 year shelf life; if you purchase a vinyl fence, take comfort in knowing it will look just as good 20 years from now with just a good cleaning every so often. 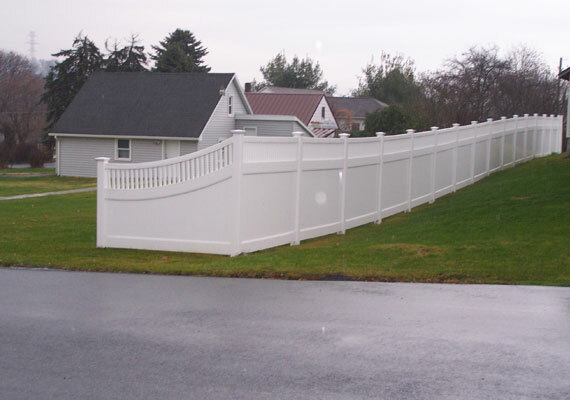 If you purchase a vinyl fence also be prepared to accept that it will always look the same…like every day is Groundhog Day. I personally prefer a fence that will grow old with me! 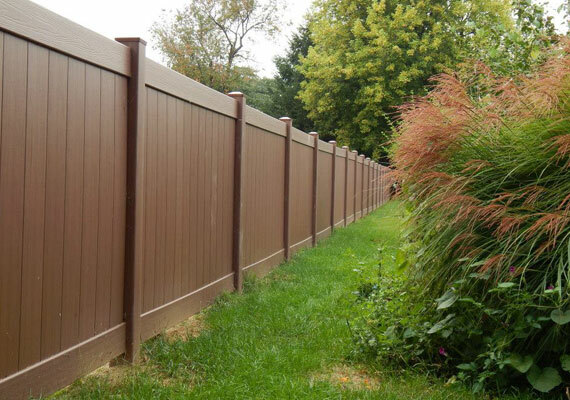 Wood composite fence is still new to the market, although Trex has come out with their version of composite shadowbox fence that has potential but is expensive. 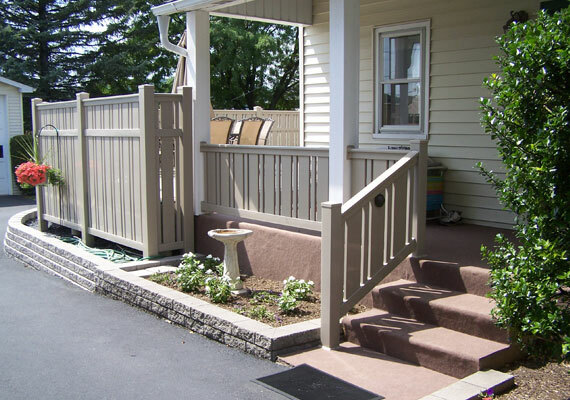 The challenge with wood composite lies in the posts and horizontal rails, especially during the dog days of summer when the product heats up – the rails are heavy and tend to sag and the posts tend to warp. Posts that sleeve over wood 4”x4”s are one answer but this pushes the cost up. The box stores are promoting interest in wood composite fence by offering a version of it where the boards are less than a half inch thick and the sections can only be 6 ft wide but we don’t believe all the bugs have been worked out yet. We’re still waiting for a manufacturer who can come up with a reasonably priced, UV stabilized wood composite fence that addresses strength issues and who can manage to stay in existence for more than five years. Wood composite decking is extremely successful and the product is now color fast but the substructure is still typically pressure treated lumber. Gates for all the above can be self-closing and have child proof latches. This info sheet was originally put together in 2008 and is now being updated and condensed. Coincidentally, just as in 2008, a beagle has won best in show at 2015’s Westminster. However, in the world of fencing, the beagle still ranks among the top for being worst in yard – they dig, they bark a lot, they churn up the lawn and of course they escape……and yet we still encounter numerous customers who actually own more than one beagle! Lots more. On a fence appt last year I was greeted by 8 – 10 (hard to count!) beagles sitting in a large bay window as I approached the house – that was a good moment. I don’t know how they fare on a national scale but in the past six years I have seen more Labrador Retrievers, especially Goldens, than any other breed and (finally) German Shepherds are making a comeback. Lots of Jack Russells, Boxers, Pugs, Boston Terrier and Terrier breeds, a number of Labradoodles and other breeds mixed with poodles….but very few poodles! Disappointing to not be seeing many Doberman Pinchers or Rottweilers. Hope that changes. It’s always a treat to meet new dogs and their owners. Hey, did you ever see a Plotthound? Seen two so far. Interestingly, we have been seeing not only a large number of Greyhound rescues but a sizeable increase in the number of rescues of all breeds in the past five years and have been fortunate to meet many people who are dedicated to caring for dogs and cats in search of new homes. A dog can be an investment in time and money; talk to a breeder if you have questions about how tall or strong the fence should be; talk to us if there may be digging issues. 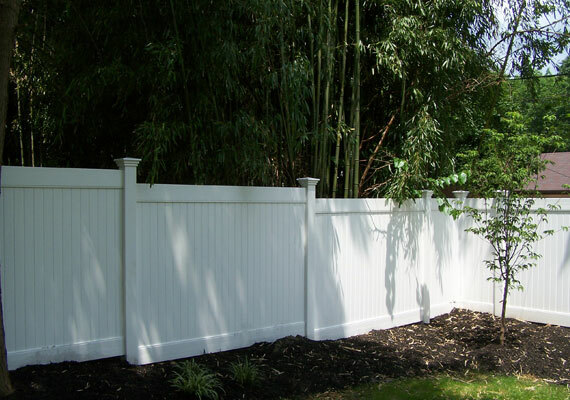 Fences can be built in any height and style and can be reinforced along the bottom. What have we seen since 2008? Jack Russells are challenging Beagles for the distinction of best escape artists only because they sneak out more often than Beagles but the Beagle still owns the title. We installed a 3 rail split, post and rail fence for a customer who owns 3 Beagles, where we trenched down and sank heavy gauge, 6 ft tall weld wire 2 feet deep in the ground for the entire fence enclosure…..and they got out. Lessee…what else? Never thought it would happen again but an amorous male lab climbed a 6 ft tall chain link fence to visit the neighbor’s dog (they were not pleased), a Labradoodle vaulted a 4 ft tall picket fence from a standing position to follow his owner to the truck and currently a customer’s German Shepherd removed the lattice valance beneath his deck and both his dogs went on walkabout. Two isolated cases, and thank goodness this almost never happens – a customer installed a 5 ft tall, ornamental aluminum fence for his rescued German Shepherd and it somehow pushed the spokes apart and went for a walk around the neighborhood, same thing happened with an American bulldog (not our fence but it wouldn’t have mattered…and this was not a skinny dog!) Gotta love ‘em. All fences typically will work as dog enclosures but hot dip galvanized chain link is not a good idea since it can have some sharp edges. 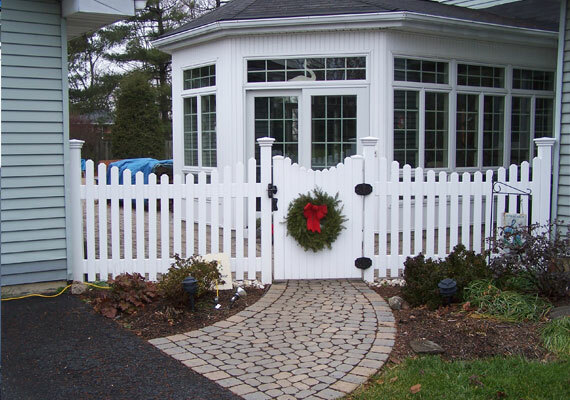 Customers with (very) small dogs can choose ornamental aluminum fences that are built with doggie panels or with double picket designs. It’s not uncommon to not only measure a yard but also the dog to see if standard picket spacing will be tight enough to contain it. Post and rail with weld wire is reasonably priced and a heavy tension wire can be stretched along the bottom to keep dogs from pushing out. 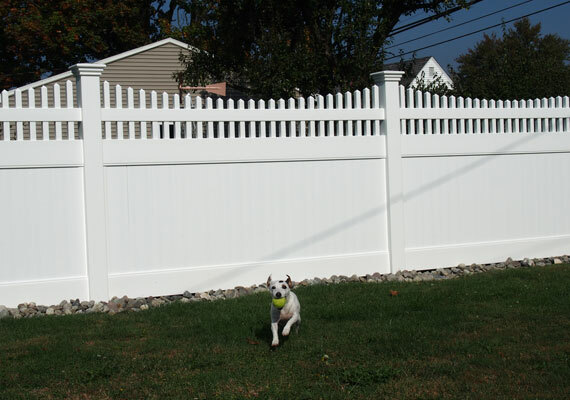 Some people favor wood privacy fences but they may not be a good choice if owning a male dog that likes to mark his territory – go with vinyl instead since it won’t capture odors and cleans easily. 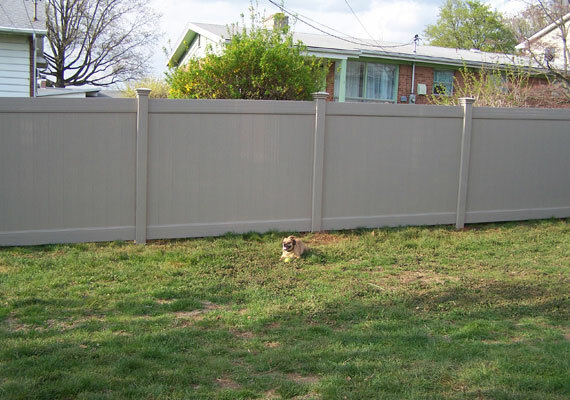 Some yards will have privacy fences sides and rear and spaced board design along the front so the dogs can see through – satisfies their curiosity, lessens their barking when they hear a noise outside the fence…..of course it doesn’t always work that way. 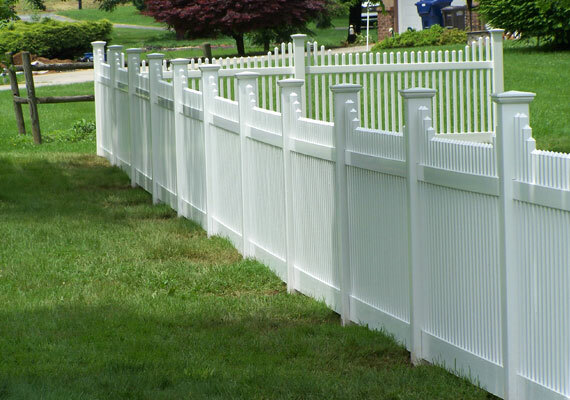 Country Estates’ vinyl picket fences are very strong and work well as dog-containment fences. 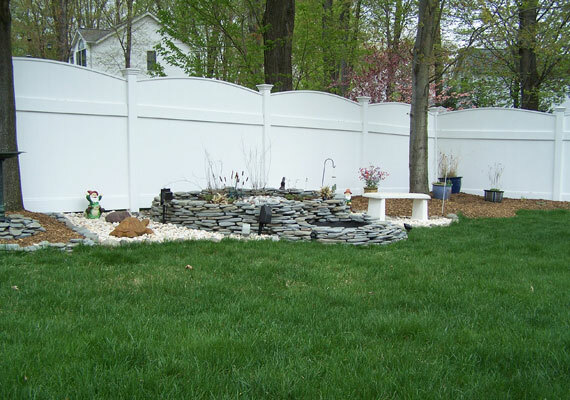 All color (black and green) chain link fences are reasonably priced and work well as dog enclosures. The fabric can be a heavier gauge and the mesh can be a tighter weave if needed. The framework (posts, rails, gates and fittings) is powder coated via a heat process and typically carries a 15 year warranty. Minimum suggested height for deer control fence is 7 feet but 6 ft height can work in some situations. Black is the recommended color – deer have trouble identifying the color black and won’t be inclined to jump a tall black fence, particularly one without a top rail. Although polypropylene fabric is economical it lacks adequate UV inhibitors and will break down in as little as 8 years after which deer will go through it. Black vinyl coated welded wire mesh is a better alternative. It can be installed without a top rail, fastened to black powder coated steel posts or to round or square wood posts. 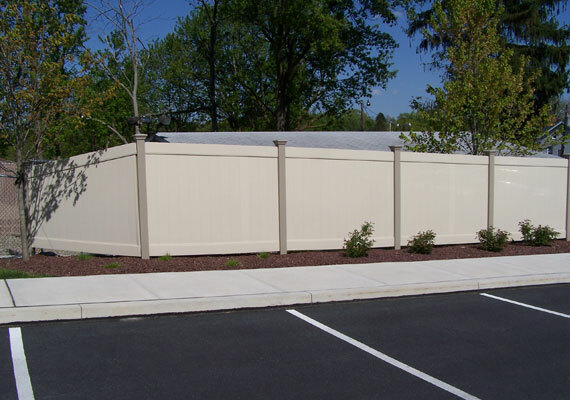 All color black chain link is a good choice for large enclosures where the ground undulates. Graduated field wire comes in heights up to 8 feet but only in galvanized, however it can be ordered painted black (from Missouri – what did you expect? )….yes, the paint may eventually wear off in time but it’ll give your neighbors something to talk about when they see you out re-painting your wire deer fence. If you’re going to put up a deer fence do your best to never let them into your yard – keep the gates closed at all times. They’re not particularly smart and will get frantic if they can’t remember their way back out….sometimes it’s not pretty. 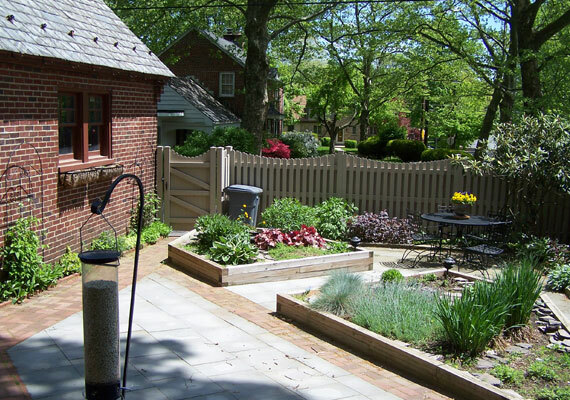 Vegetable and herb gardens have become very popular. 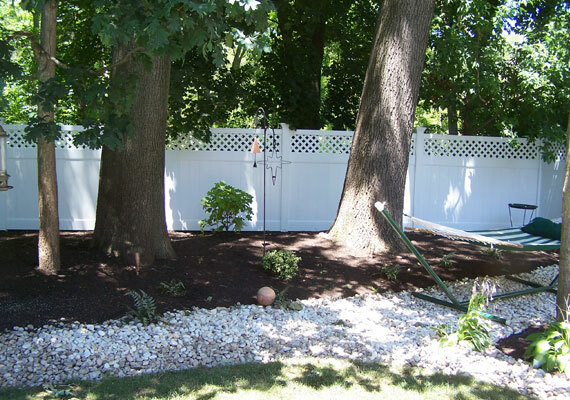 Erecting the proper type fence to enclose them can cost….but think about your health! If you want to keep deer and small animals out you’re left with little choice but to erect a tall fence that may have a larger mesh up top but tight mesh from 3 feet down. Baby rabbits can squeeze through 2” openings: 1”x2” mesh or smaller will be necessary. Sometimes we’ll bury the mesh 12” to 24” deep to keep out most burrowing animals….”most” being the operative word here. Please, please do not expect any fence to be magical enough to keep out groundhogs. I measured a large garden fence for a sweet, older lady who had a beautiful property in the country but had a real groundhog problem and was forced to set out a number of Have -a- Heart traps. I asked her how much trouble it was to relocate them once they had been caught. She looked at me funny and told me that was when she took out her ’38 and finished them off….we’ll keep you posted if a better solution arises. They can climb, too, did you know? 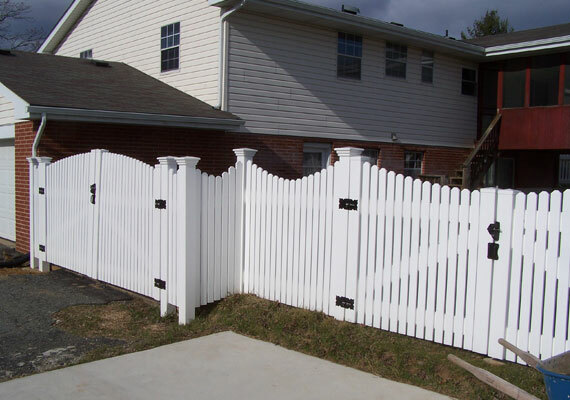 If you’ve always dreamed of that 3 ft tall picket fence around your garden a tight mesh weld wire fence that will be hardly noticeable yet keep out small animals can be installed along the inside, same for post and rail fence, can also be done with PVC picket and ornamental aluminum. 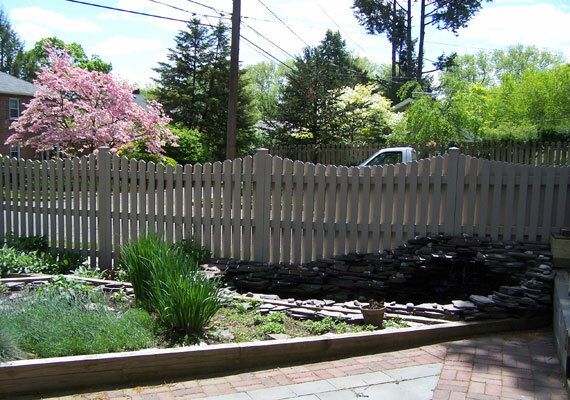 If it’s going to be a wood fence natural lumber is preferred over pressure treated for posts. Cedar 4”x4” posts can be encased in PVC ground sleeves for better protection. 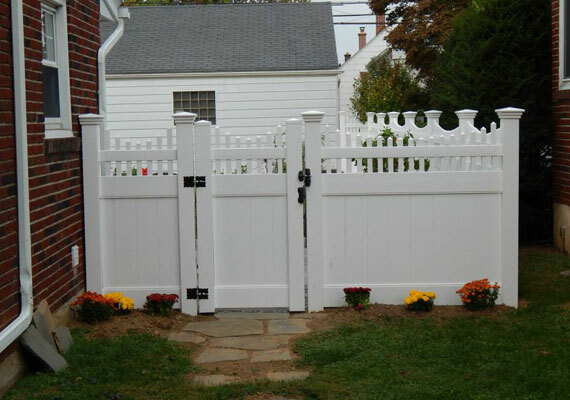 If it’s a white picket fence you want the best but most expensive choice may be Azek – white wood composite type fence. Call for details. Dogs can be an investment in time and money…horses are just plain a lot of work – it must truly be a labor of love. Dog owners will meet me at the front door. Horse owners are always busy – gotta find them; they’re usually out on the property doing something. That’s okay but, if you need an estimate for horse fencing and it’s breeding season, please consider one small request: do not make me walk through a pasture or corral filled with contentious stallions to find you – I can no longer outrun them. Wood fencing is still most economical but maintenance can be ongoing; if there is a need for 2000 or more feet of fence sometimes there is little choice. We can comment on what’s available and what’s ordered but in this category it’s best to talk to people who simply have more horse sense – the owners themselves. 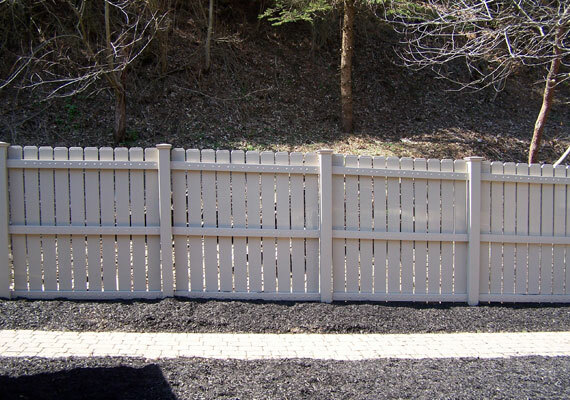 Horse fence is evolving – can be 3 board PVC, aluminum, steel or high density polypropylene slip board fence…or it can still be a good old 3 or 4 rail split rail or slip board fence. The 3 rail fence is 48” tall to the top rail; the 4 rail or slip board fence typically will grow to 54”, sometimes 60” high at the top board. Wood slip boards are typically 10 feet long, oak 1 1/8” x 6” wide boards. Slip posts are pressure treated 3”x6” line posts and 5”x5” or 6”x6: corner, end and gate posts. Gates can be tubular round steel. Split rails are typically hemlock, 11 ft long with paddled ends; posts are black locust. Split rail gates can be rustic to match the fence or board gates (no sagging) made of cedar 2”x6” and 1”x6” boards. Board gates can open 180 degrees, however tubular gates for wide openings can be improvised to do the same, just must be careful how it’s done – can never leave any exposed surfaces that might nick a horse. Unless you plan to install insulators and electric wire, slip board fence may be a better choice than split rail – we’ve seen such a run on split rail materials that we suspect the trees are being harvested before maturity; the rails may be more susceptible to breaking when the horses lean on them and they can have sharp edges. Foal wire or diamond mesh can be installed with a single 2”x6” topper board for large enclosures; typically this wire is 57” tall. Posts can be 3”x6” line and 5”x5” end, corner and gate posts or 4-6” diameter round, both pressure treated southern yellow pine. Post spacing can vary from 8 ft to 10 ft on center. 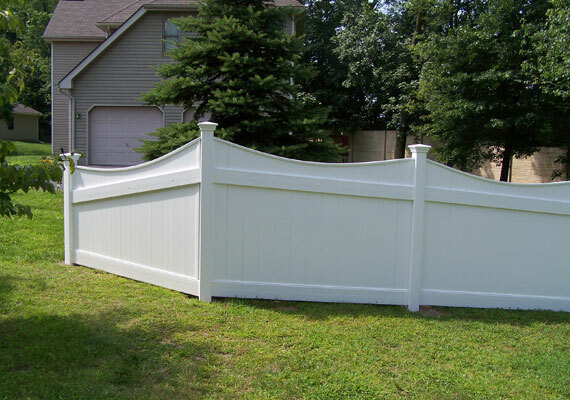 A white, 3 board PVC fence (2”x6” double ribbed rails and 5”x5” posts that can be double thick) can highlight a horse pasture when installed properly. PVC is now offered in almond, adobe and black. 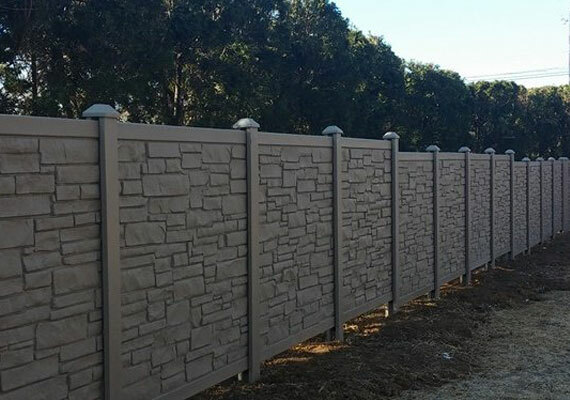 High density polypropylene fence is color fast, offered in black, brown and dark green but the rails still want to sag and the posts have a slight tendency to warp. But horses won’t crib on the rails. Will keep you posted as to whether they work the bugs out. Steel and aluminum post and board fences are relatively new and available in black and bronze, also white – not sure how they’ll fare in keeping horses in or if they’re intended more for aesthetics; time will tell. We do not offer high tensile horse fence. It’s low priced but there can be liability.